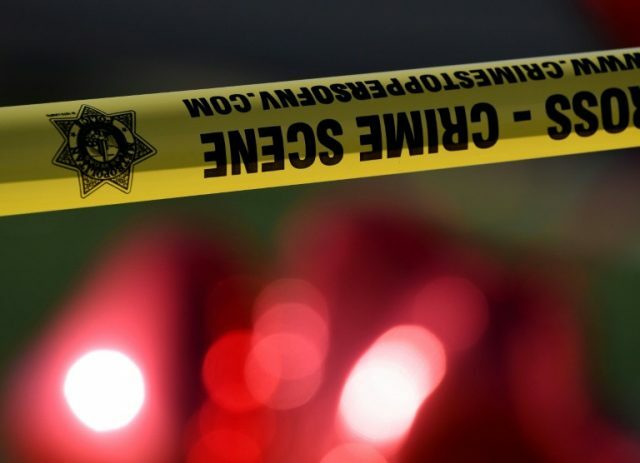 Ten children found living in squalid conditions in a California home were waterboarded, shot at with crossbows and had scalding water poured over them by their mother and her partner, authorities said Wednesday. The abuse was detailed in a motion filed by prosecutors to increase the bail of the children’s mother, 30-year-old Ina Rogers, who was ordered taken into custody and whose bail was set at $495,000. “On a continuous basis the children were getting punched, strangled, bitten, shot with weapons such as crossbows and bb guns, hit with weapons such as sticks and bats, subjected to ‘waterboarding’ and having scalding water poured on them,” according to the motion filed by prosecutors and obtained by AFP. Rogers and her husband Jonathan Allen, 29, were arrested on March 31 at their home in the town of Fairfield, north of San Francisco, after police responded to a call about a missing child. Prosecutors said officers entered the house and found nine children huddled together on the living room floor. They said the house was in filthy condition, with clothes, garbage and feces scattered everywhere. The children were taken into custody and it was only during the subsequent probe that the sadistic abuse came to light, authorities said. “During the investigation, the children thoroughly described the incidents of abuse,” according to the motion filed by prosecutors. Rogers was arrested and initially charged with one count of misdemeanor child abuse. She now faces nine counts of felony child abuse. Allen, who is also in custody, faces seven counts of torture and nine counts of abuse. The case bears similarities to another uncovered in California earlier this year.